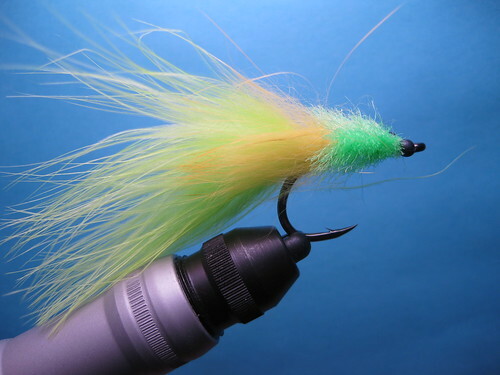 Get ready for Tarpon season with this version of the ever popular Tarpon Toad. Barrett demonstrates how to tie a Florida Keys classic. Using the “figure 8″ method and McFlylon to make a body. This simple but highly effective pattern is one to have when fishing for Tarpon anywhere in the world. Purple/Pink and Red/Black and all Tan versions are also effective. The same method to create the body on the Tarpon Toad can me adapted to making Merkin style crab patterns as well. Barrett has a tremendous fly tying technique. Very efficient and effective. Does he have his own website? I would like to see the way he ties other flies. I think he is one of the best I have seen. Thanks, Ed R.